Single Sentence Summary: Recent college grad Penny Baker takes on the challenge of rehabbing her deceased father’s childhood home only to find she really likes the squatters who have claimed it as their own. Primary Characters: Penny Baker – a 23-year old business graduate, without a job or any serious prospects. Penny comes from a very dysfunctional family. Rob – one of the people occupying Penny’s father’s home and the man Penny develops an intense crush on. Matt Baker – Penny’s much older brother. He’s a wealthy creep! Jazz – another young occupier of the house and the object of Matt’s obsession. Synopsis: Penny Baker has a background that is far, far from normal. Her mother, Amalia, is from the Kogi tribe in Columbia and was rescued by Penny’s father, Norm, when she was only 13. Later, Norm married Amalia and had Penny. Penny has two older half-brothers that she is not very close to. Penny adored her father who was a new-age type and ran a “healing center.” Norm had many followers who truly loved and believed in him, as did Penny. Penny suffers through the months when Norm is dying and afterward is haunted by his death. When she learns that there is a family home she never knew about in New Jersey, Penny is eager to take over the rehabbing of the house. She is driven to take on this task because she has no real job prospects, little direction, and has lost the lease on her rent-controlled apartment. 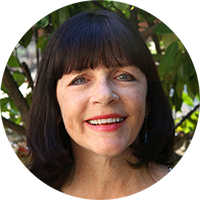 When Penny arrives at the house she discovers that it has been named “Nicotine House” by a very friendly group of squatters who have been occupying the house for many years. Nicotine is part of a group of homes in the area, all inhabited by squatters who consider themselves anarchists. Each house has a different “theme” and Nicotine’s is smoker’s rights. Penny immediately feels an affinity toward these people, especially Rob, who fixes bikes in the home’s garage. Since Nicotine is full, Penny moves into another occupied house in the neighborhood. From there the story centers on the quirky characters living in the houses, Penny’s overwhelming desire to be with Rob, and the conflicts that arise when Penny’s family realize she isn’t doing anything to get the anarchists out, but had instead joined their ranks. When Penny’s brother, Matt, steps in he becomes involved with another of the occupants, Jazz, and anarchy flows! Note: I received a copy of this book from the publisher, Harper Collins, UK (via Net Galley), in exchange for my honest review. I’ve toyed with picking up Nell Zink (mostly Mislaid)…but never have b/c every review I read from a blogger I follow is so-so. But, the premises always sound so interesting! Maybe a problem of execution? This sounds pretty similar to the way I felt about Mislaid. 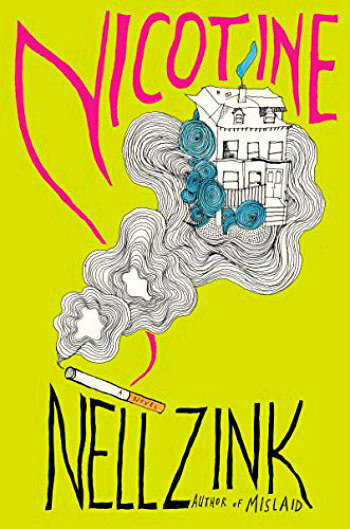 I loved the premise, but the execution fell a little flat – I keep wanting more from Nell Zink and it doesn’t seem to quite get there! I agree with your review completely. I wanted to love this book. The author seems so eclectic and intelligent, but the book was everywhere, and like you said.. exhausting to read. Love your website layout. It is beautifully set up!